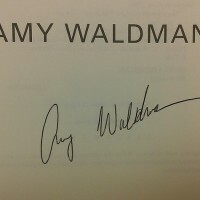 Photo of Amy Waldman’s signature from a signed first edition. 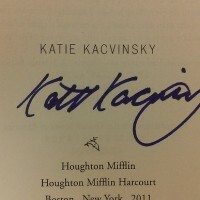 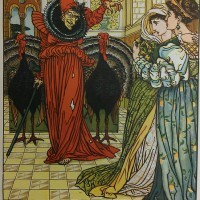 Photo of Katie Kacvinsky signature from a signed first edition. 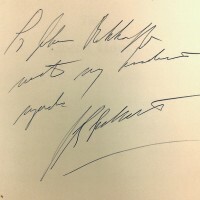 John Kenneth Galbraith signature from a signed first edition. 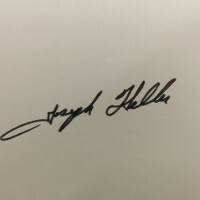 Photograph of Joseph Heller’s signature from a signed limited edition.